PNC Spotlight Award for rapid development of a credit card upgrade model for preapproved customers. 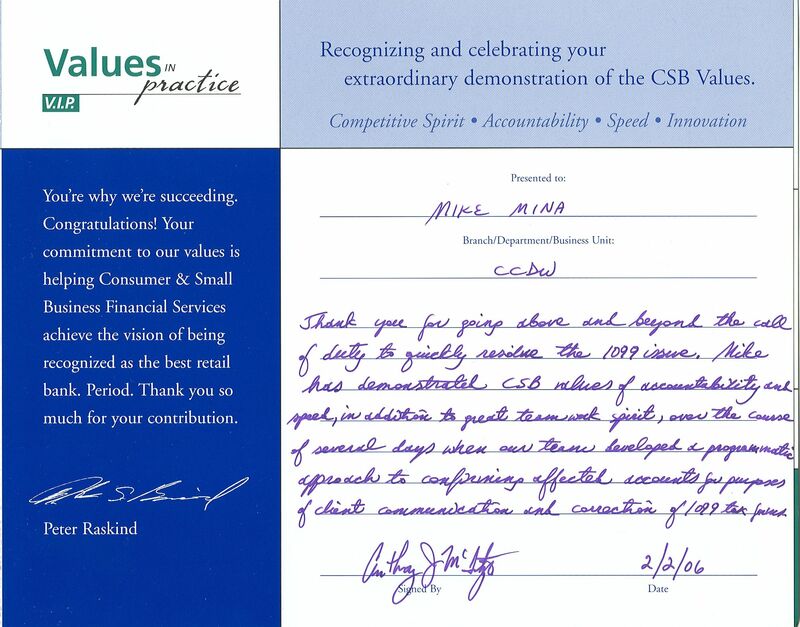 Fifth Third Bank 5/3 Shield Award for developing checking upgrade models for one of the largest retail marketing initiatives in 2010. Three VIP Awards from National City. 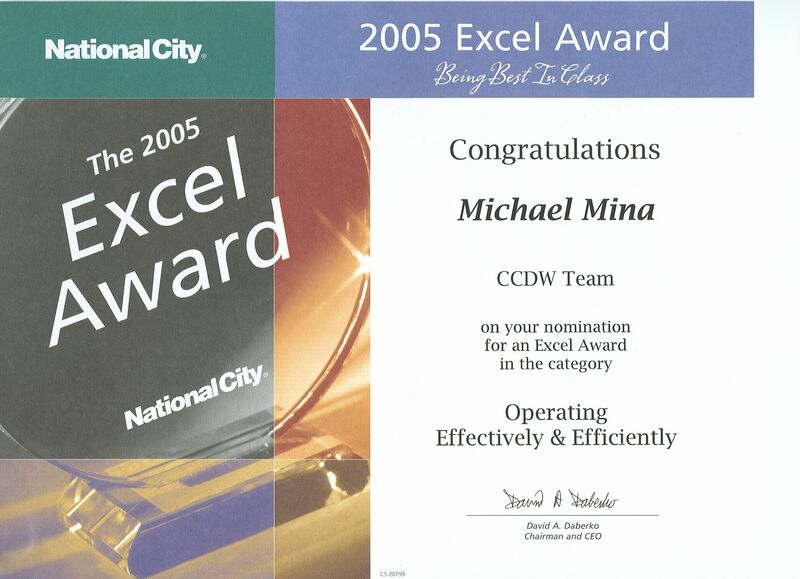 Excel Award nominations in 2005, 2006, 2007 from National City. Excel Awards are "National City's highest honor" and are "designed to recognize and celebrate extraordinary people and exceptional accomplishments". They are signed by the CEO. 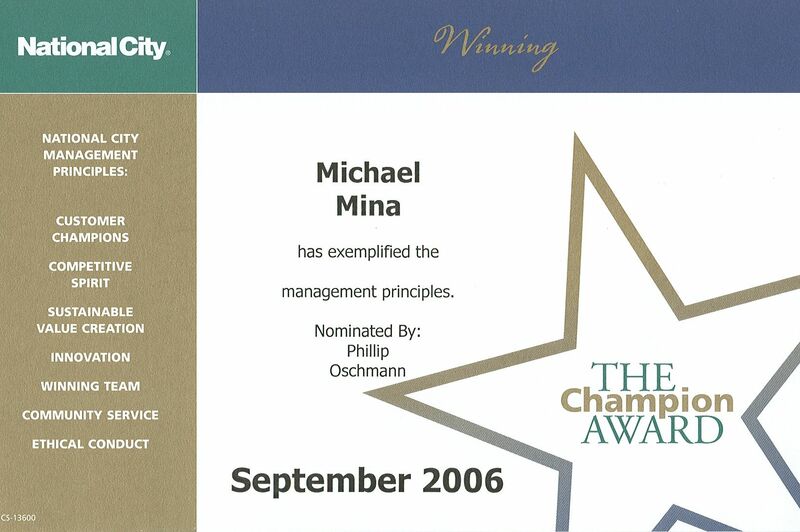 Three Champion Awards from National City for work on various projects, community service, etc. 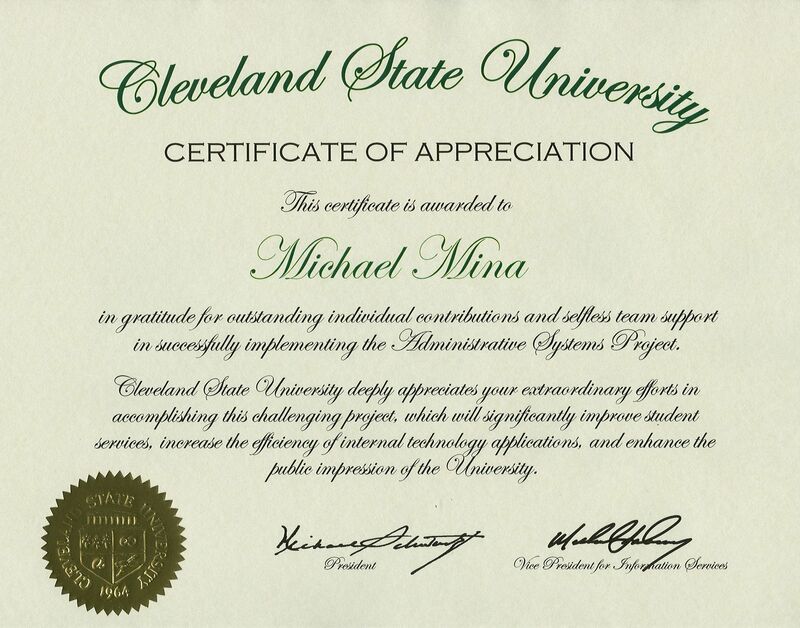 Three Recognition and Appreciation certificates. 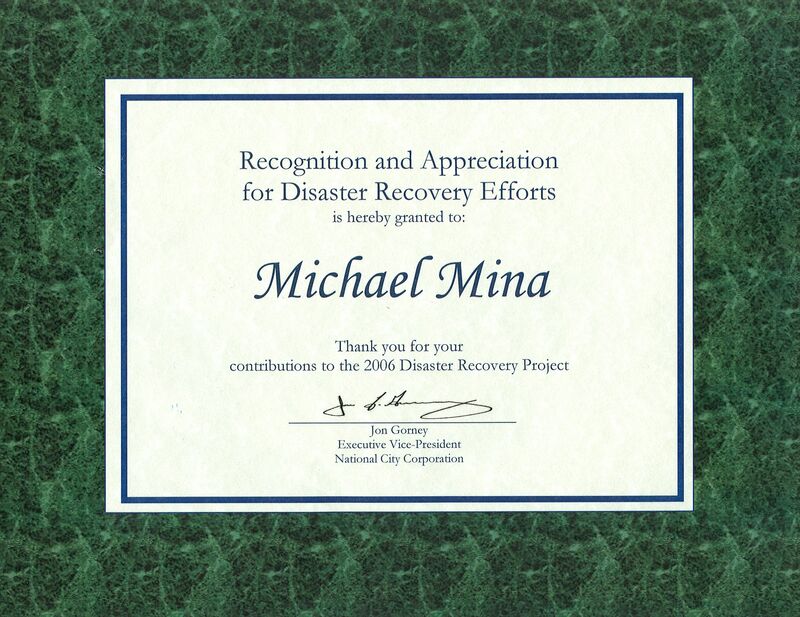 The one pictured is for work on the business intelligence & data warehousing components of our disaster recovery plan. 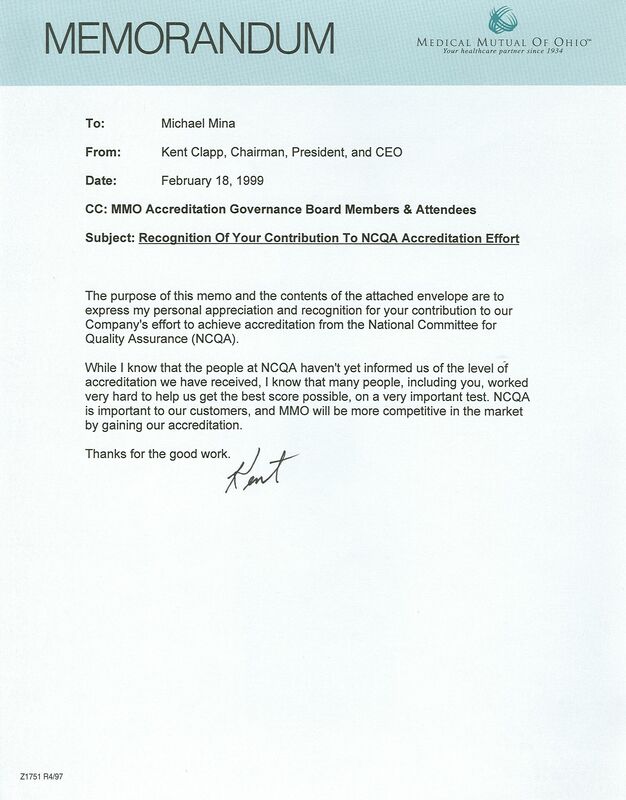 Letter of recognition from the CEO of Medical Mutual for my contribution to our NCQA Accreditation effort. 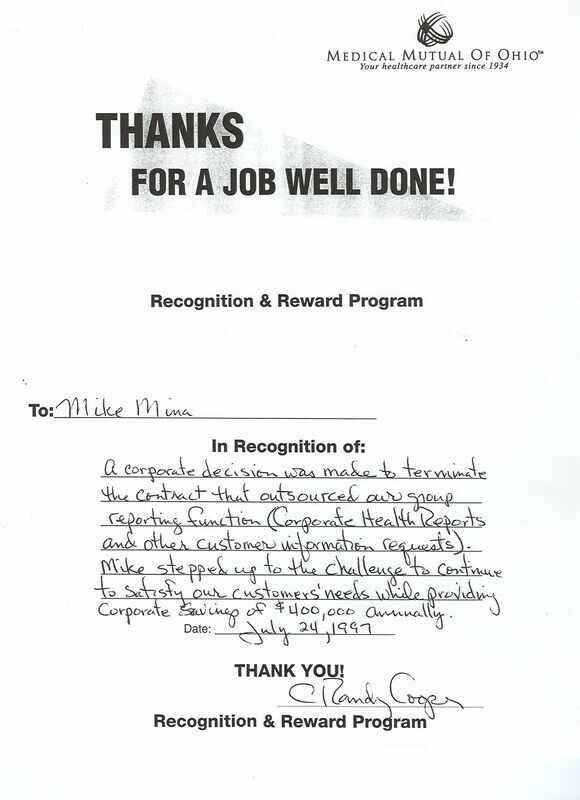 Recognition & Reward from the Vice President of Underwriting of Medical Mutual for data analysis efforts in State of Ohio RFP. 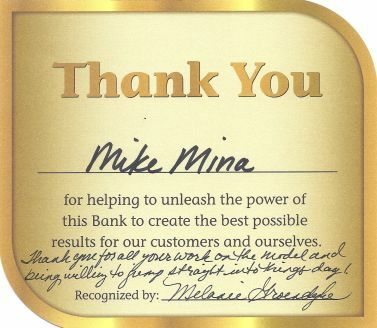 Recognition & Reward from the Vice President of Underwriting for report development that helped save $400K annually. 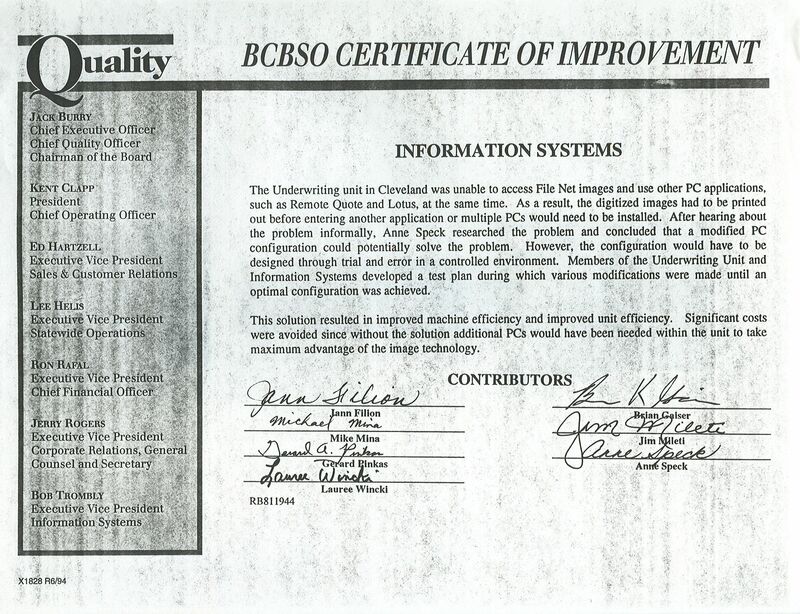 Red Bead award from the CIO of Medical Mutual (then Blue Cross Blue Shield of Ohio) for saving $60K in hardware costs.